For vertical storage of sheet materials. The vertical sheet racking with 4 to 10 compartments is an ideal solution for storing a variety of different sized items in one central location. 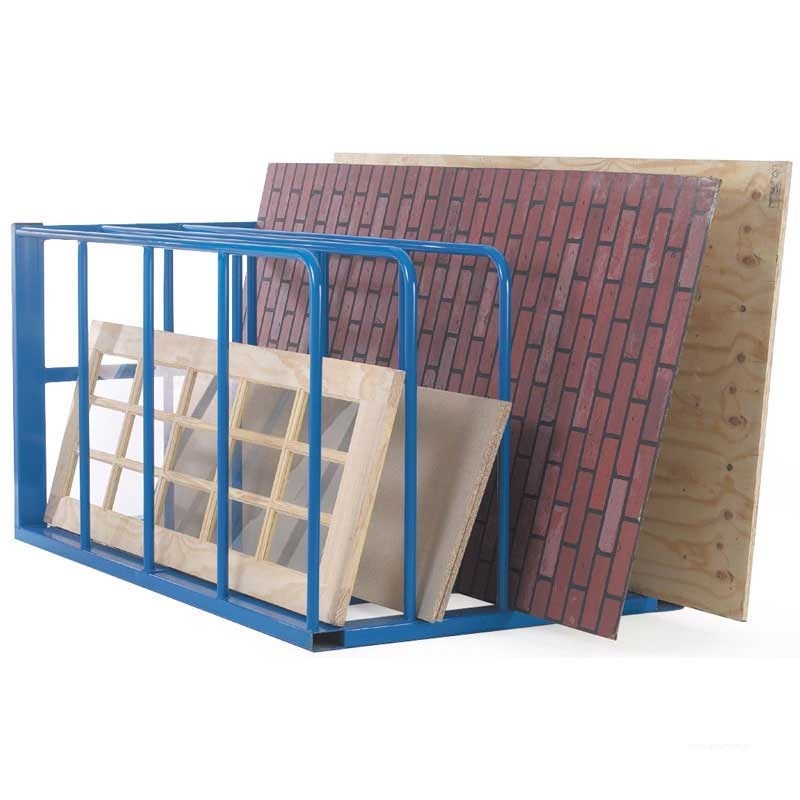 The smallest unit contains four individual sections suitable for housing objects such as windows, panels, plywood, sheet steel and other items. 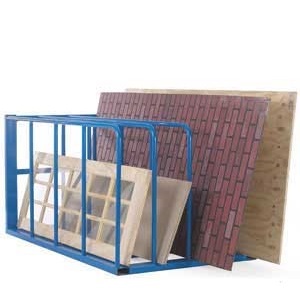 The rack is built to accommodate vertical or horizontal storage, allowing for ease of use. The open side makes it simple to extract items from the rack without strain or the need for multiple people for lifting. The spacious compartments allow for easy access and visual assessment of the objects on hand. The vertical sheet racking with 4 to 10 compartments system is manufactured with tough welded steel and contains intermediate floor supports. It can easily be dismantled and stored to provide additional floor space. 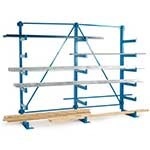 As with many of the other storage units in the range, the racks can be mixed and matched to create a modern and efficient system, which allows for ease of use. More units can be added as the need for extra storage presents itself. Racks are available in a variety of sizes and number of compartments, to fit every need. Q. Can this rack be mounted vertically? I have flexible 2.4 x 1.2 sheets that have to be stored vertically (short edge on the ground) so they need support at least 2m off the ground to stop them bending too far under their own weight.